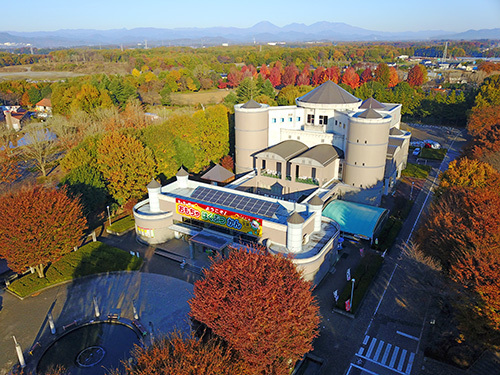 Mibumachi Toy Museum was opened on April 23, 1995 as a part of the Furusato Creation Project to reinvigorate local industry and develop tourism resources, in the hopes that children—who hope the promise of the future—will develop mental richness and creativity by playing with toys. *Opens until 17:00 in August. *Open from 10:30 to 15:30 on January 3 and 4. *When Monday is a public holiday, the museum is closed on the following day. *We are open all through August. *Children three and under are admitted free of charge. *Fees shown in parentheses are for groups of 20 people or more. *Annual Passport photos are checked when entering the museum. *If you do not have the annual passport with you, regular admission fees are required. *Please present identification to verify age as 65 or older. Museum tickets are valid for a day. Please show your ticket at the information desk when re-entering. Parents or leaders are responsible for the safety of their children. Please keep eyes on children. Please note that we do will not take any responsibility or liability for accidents or other problems caused by ignoring precautions posted in the museum. There is no restaurant in the museum. Light meals are available at the Outside Food Stall on the east side of the museum. Please use WakuWaku Dream Garden in the annex or Dining Space for eating lunch. Please bring picnic sheets with you. *We do not accept reservations. Be considerate of other guests and do not take up too much space. *Due to events, there are times when the space may be partly unavailable. Alcohol and smoking are prohibited in the museum.